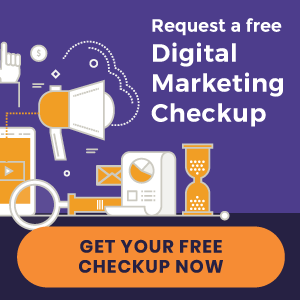 Stone Chiropractic serving Kaukauna since 2005 offers Pro-Adjuster, Diversified, Thompson, Gonstead, Activator Methods®, Webster, Nutritional Counseling, Certified Light Therapy, Electrical Muscle Stim and Ultrasound. 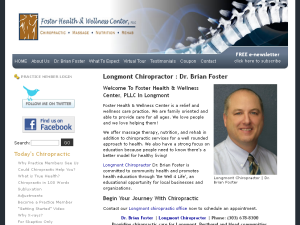 Palmer College of Chiropractic graduate serving Longmont since 1997 offers Diversified, Thompson, Gonstead, Activator Methods®, Cold Laser Therapy, Massage Therapy, Nutrition and Rehabilitation. New York Chiropractic College graduate offers Hermitage residents with Diversified, Activator Methods®, Flexion-Distraction and Rehab Exercise. 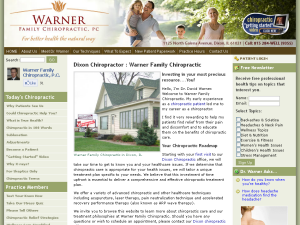 Palmer College of Chiropractic graduate serving Dixon since 2000 offers Diversified, Gonstead and Thompson techniques. Acupuncture, Biomeridian Stress Assessment, Nutritional Testing, ARP Wave Therapy, and Decompression are also provided. 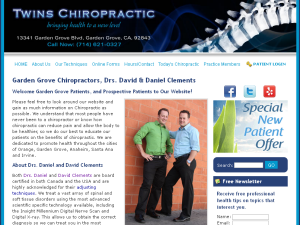 Twins Chiropractic serving Garden Grove residents since 2012 offer Diversified, Activator Methods®, SOT and Gonstead techniques. Massage Therapy is also provided. New York Chiropractic College graduate serving Westport residents since 2004 offers Diversified, Activator Methods®, Gonstead, Thompson, Graston Soft Tissue Technique and Acupuncture. 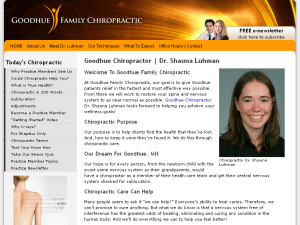 Dr. Shauna Luhman serving Goodhue residents since 2008 offers Diversified and Activator Methods® chiropractic techniques. Broadwater Family Chiropractic serving Townsend since 2010 offers the safe and effective Gonstead Technique. 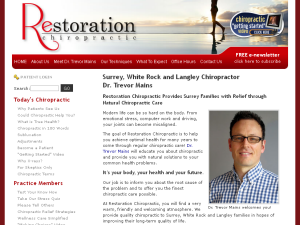 Western States Chiropractic College graduate offers Surrey residents Activator Methods®, Thompson, Diversified and CBP chiropractic techniques. Palmer College of Chiropractic-West graduate serving Campbell since 1999 offers Diversified, Activator Methods® and Thompson techniques.